Post-GDPR, it’s never been more important to have your contact opt-in information in one place. 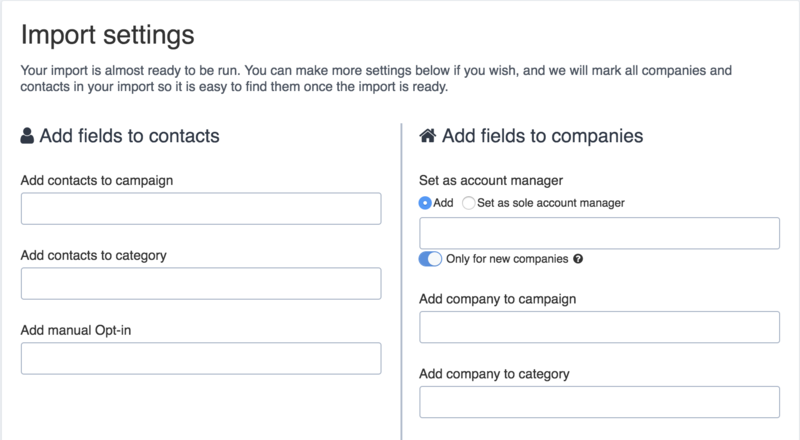 That’s why you can now import opt-in statuses from all your non-Upsales services. You can now import opt-in status to Upsales if you collected opt-in in from different services than Upsales. Lengthy sales cycles can cause headaches when it comes to calculating currency rates for international businesses. After all, a lot can happen to a rate in between the time it takes a deal to go from opportunity to order. We listened to your feedback on this issue, and hope this will make things easier. Upsales now automatically updates your currency rate, from your main settings, when you close an order. Solved a problem to add companies from leads list if you have marketing access but can only see you own companies. Solved a problem in advanced search where you did get suggestions on titles on contacts you did not have access to see.